Sophie Webb considers the cost of private dental treatment across the country and how this differs dramatically depending on where you live. I have recently written a blog on our Clinical Negligence Team website about the ‘postcode lottery’ involved in the diagnosis of cancer across England. Whilst reading up on these unacceptable regional variations, I also came across research that says the price of private dental treatment also varies considerably depending on where we live. Private healthcare comparison website, WhatClinic.com, have recently undertaken a study of 12,629 private dentists in 20 cities across Britain. • Plymouthians are lucky enough to be saving up to £90 on the national average cost of teeth whitening in the UK, £298, where clinics charge only £209. This is compared to the highest priced city, Cambridge, with a bill of £385. A spokesman for the British Dental Association said: “The costs incurred in providing dental treatment are significant. They include premises, payment of staff and the purchase and running of complex equipment . Dentists operate in different ways and use different equipment, laboratories and materials”. But how ‘different’ can they be, when ultimately the result is the same? This research comes after other attempts to question the dental market. For example, in 2012, an inquiry by the Office of Fair Trading found that 500,000 patients a year were being provided the wrong information about their treatment options. These people were being told they would have to pay privately for their treatment as there was no NHS alternative, when this was actually untrue. It is important that the cost of dental treatment does not put us off attending our dentists. 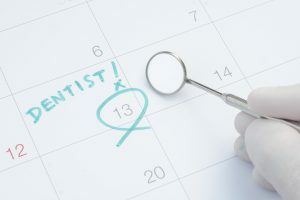 If it does, then we risk damaging both our oral health and our bank balances, particularly if this delay in attending leads to the need for further restorative treatment. If you are unable to find an NHS dentist with availability, then it may be a good idea to shop around to compare prices of your local private dentists.